Guys. 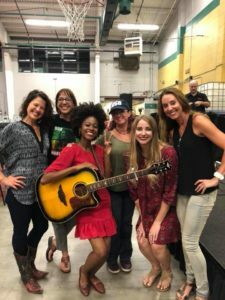 I have been meaning to write about my experience with the first annual Women in Music weekend held in my awesome city of Huntsville, AL (Rocket City, if you will). The event spanned three days and was chock full of stellar, female-led bands and solo acts that started Thursday, August 9th and ran through Sunday, Aug 12th. I was honored to play twice during the event, but I’m getting ahead of myself. What happened next was –I freaked out a bit with excitement and nervousness about what all of this would entail. 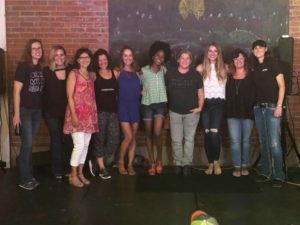 I was giddy to meet other female singer-songwriters because we were so scattered about and didn’t have opportunities to meet, talk, and just, you know…bond?! None of us knew how much we needed this kickstart until it all started to unfold; but again, I’m getting ahead of myself. Over the course of weeks, I started seeing little hints and teasers on Facebook about the Women In Music (WIM) coming to fruition. 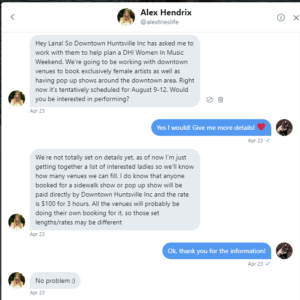 As time passed, more and more women were added to the roster, proving that not only were women eager, willing, ready, and able but that there were MORE female musicians and singers than Alex and Chad ever knew of that were pumped and on-board to be a part of history in our city! 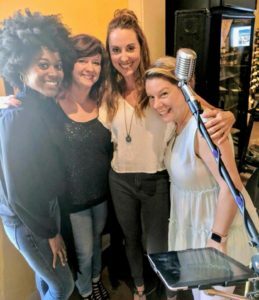 The first event to kick off the three day festival of events was at the Church Street Wine Shoppe. 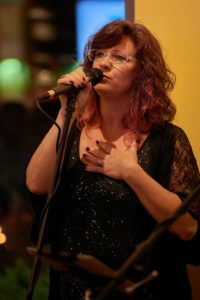 Judy Allison, of the Josh and Judy Allison duo, invited me, along with Victoria Jones to join her show and play a 30 minute set each of our original music. The venue was beautiful, and it was a full house! We enjoyed our time together and knew this was the beginning of some very special connections and friendships. 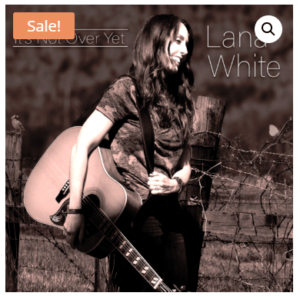 Amy Wharley – Photographer in Huntsville, AL captured this “in the moment” shot of me. Thank you, Amy! 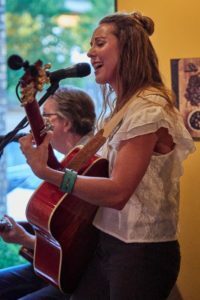 Throughout the weekend, there were performances in venues that normally didn’t host live music, with The Church Street Wine Shoppe being one. 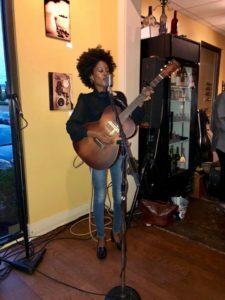 It was a perfect location to enjoy live music, wine, and delicious food! Other venues opened their doors to so many talented ladies throughout the weekend, with all of the events being well attended and supported! 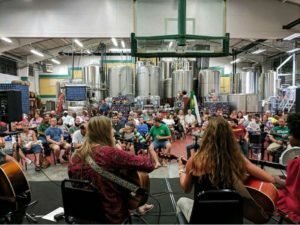 The next event I was asked to play was at one of our amazing Micro-Breweries, called Straight to Ale (STA for short). Alex (remember her?) asked me to be in a writers “In the round” event with herself, Cristina Lynn, and Victoria Jones. From L to R – Cristina Lynn, Victoria Jones, Judy Allison, Alex Hendrix, Yours truly. This night was full of variety from four very different artists, which made the audience happy, and made us all feel unique as well! As you can see from the photo, we had a great crowd of eager, respectful listeners! 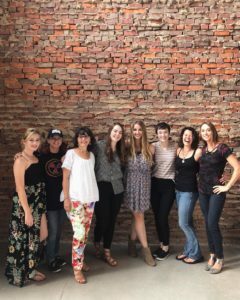 These ladies have become so special to me for so many reasons. Some of which is how their unique perspectives on life, love, mental health, and the world around them as a whole resulted in musical storytelling at its finest; how each of these ladies’ voices rang out with passion, soul, and depth; but mostly because it felt tribal…and that was something I didn’t realize I needed until then. Love this and love you! Such a fun read! 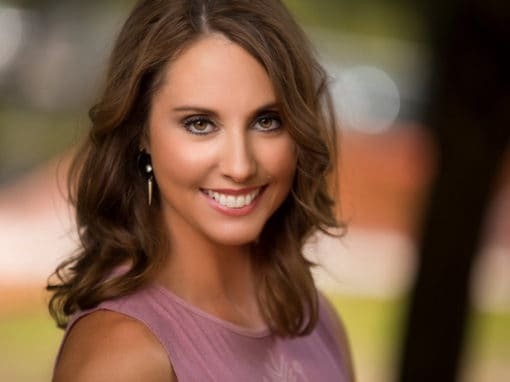 Thanks Lana for sharing your bright, inspiring personality with us and for capturing the heart of that weekend in words. And I love you! Thank you for reading my words that sometimes don’t flow so easily, but this time…it just felt effortless. You are a huge reason the Women in Music event was so successful. Your performances were stellar, and you supported everyone by being at the shows, working merch tables, and offering encouragement. You rock!! Excellent write up! I was so happy I was able to see you perform during that weekend and can’t wait to see you more. 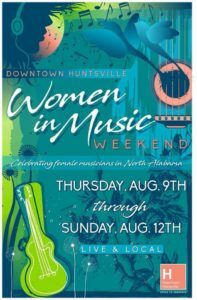 This event definitely sparked some much needed attention surrounding women’s music in Huntsville.